Susan's organic hand-built tumblers have become a store staple! 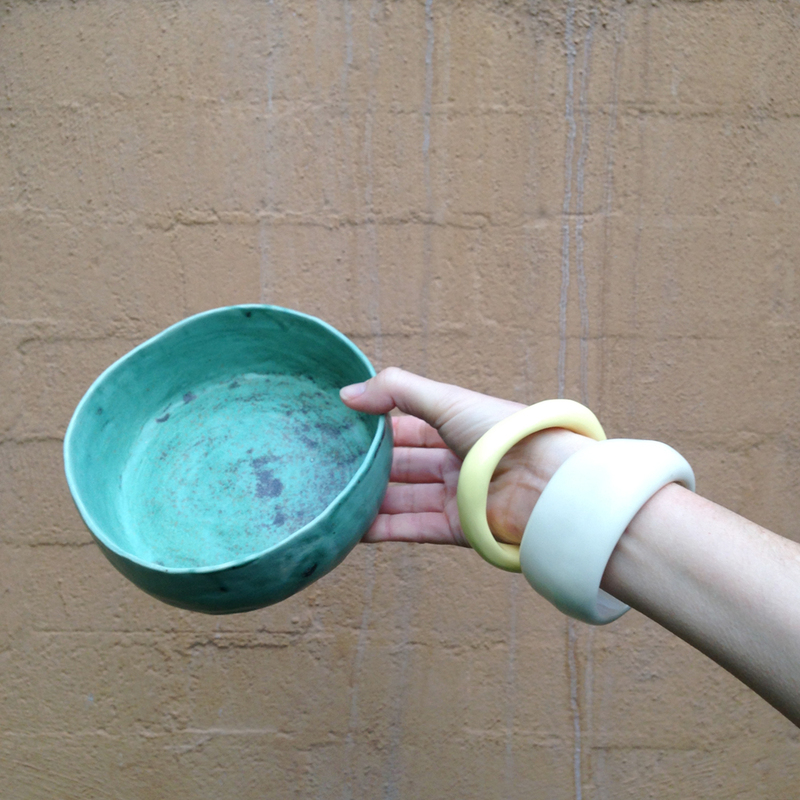 the majority of Susan's pieces are hand-formed with textured-stoneware . . .
imperfectly beautiful with their non-uniform shape. Susan has a fine-arts background & spent over a decade painting & printmaking - skills which lend themselves beautifully to her current medium. In the two short years that Susan has been working with clay, she has definitely made an impression on the Australian-ceramics landscape. I recently had a little chat with Susan about her work. I asked Susan about her process . . . I prefer to approach my studio with an artist's eye, allowing each piece to evolve organically. I allow this process to determine the end product, whether it be a piece of art or a functional object. In many of my ceramic pieces you'll find slight imperfections & marks left by the handmade process. These contribute to the uniqueness & beauty of the forms & are simply part of the character of the individual piece. Susan hand-builds the majority of her work, preferring coil/slab/pinch techniques, but she doesn't confine her work to just one style. Each individual form & each type of clay lends itself to different surface treatments, so some pieces are simply glazed & others become highly decorated with my art. I prefer to be called a ceramic artist. Although I hold a fine art degree I have never undertaken studies in ceramics so would not consider myself a pure ceramicist or potter. I guess I am primarily an artist working in the medium of ceramics. I am inspired by the everyday and the ordinary - colours and forms that we see all the time, but don't often pay much attention to. Also, all things art & the local coastal landscape. The freedom we have as a nation, & on an individual level, is what I love most about this country. Susan works from her home-studio on the south Queensland coast. Between kiln-firings she jumps on her long-board & goes for a skate along the beach . . . sounds like the life to me! Would you like to hear more from Susan herself? Go & make yourself a pot of tea, get comfy & have a listen to the podcast interview with Paul Blais over at The Potters Cast. It's always lovely to hear from the artist in person!